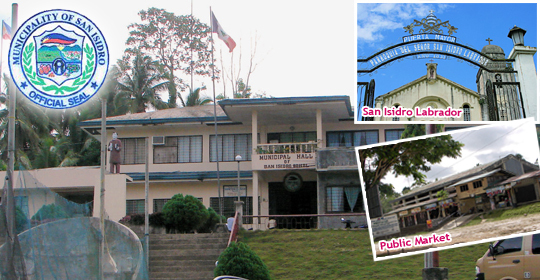 San Isidro is a town situated in the interior part of the province of Bohol. It is 32 kilometers away from Tagbilaran city, the province’s lone and capital city. It can be reached by buses, jeepneys, or even vans for hire that are traveling northbound from Tagbilaran City. Agbunan is the old name of the town before the image of Saint Isidore, the town’s patron saint, was brought to the place. Before the name Agbunan, the place is called Macapagao. It was only after some time that the name was changed to Agbunan. The place was once a part of the municipality of Antequera. It became one of the barrios of Catigbian when the latter was made into a town during the Spanish regime. When Catigbian was destroyed during the Phil-Am war, Agbunan was back to Antequera but when Catigbian was restored, the place once again became a part of it. Agbunan was one of the big barangays of Catigbian. The Roman Catholic leaders of the town established a chapel dedicated to Saint Isidore (Isidro), their chosen patron saint and the considered patron saint for the farmers as the town’s major industry is towards the production of agricultural products. The place was formally made into a separate town on June 21, 1969 when President Ferdinand Marcos signed into Law RA 5662 creating San Isidro as one of the towns of the province of Bohol. The first Agbunan Festival was launched on June 28, 2009 in commemoration of the town’s 40th Foundation day celebration by the San Isidro Municipal Government, together with the barangay officials and with the assistance and support of the provincial government. San Isidrohanons, together with visitors, gathered together in the streets to witness the street dancing participated by the different barangays of the town. Then they proceed to the grounds of San Isidro Central Elementary School to watch the showdown competition among the participants. Organic farm products from the different barangays of the town were also showcased during the festival.